"Boat people" redirects here. For other uses, see Boat people (disambiguation). Vietnamese boat people awaiting rescue. Vietnamese boat people (Vietnamese: Thuyền nhân Việt Nam), also known simply as boat people, were refugees who fled Vietnam by boat and ship following the end of the Vietnam War in 1975 (mainly were Hoa people). This migration was at its highest in 1978 and 1979, but continued through the early 1990s. The term is also often used generically to refer to all the Vietnamese (about 2 million) who left their country by any means between 1975 and 1995 (see Indochina refugee crisis). This article uses boat people to apply only to those who fled Vietnam by boat. The number of boat people leaving Vietnam and arriving safely in another country totalled almost 800,000 between 1975 and 1995. Many of the refugees failed to survive the passage, facing danger from pirates, over-crowded boats, and storms. The boat people's first destinations were the Southeast Asian countries of British Hong Kong, Indonesia, Malaysia, the Philippines, Singapore, and Thailand. External tensions stemming from Vietnam's dispute with Cambodia and China in 1978 and 1979 caused an exodus of the majority of the Hoa people, of whom more than 170,000 fled overland into the province of Guangxi, China, from the North; the remainder fled by boat from the South. This new influx brought the number of refugees in China to around 200,000. In addition, the Vietnamese military also began expelling ethnic Hoa from Vietnam-occupied Kampuchea, leading to over 43,000 refugees of mostly Hoa descent fleeing overland to Thailand. By 1980, the refugee population in China reached 260,000. 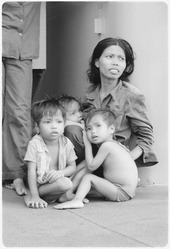 The combination of economic sanctions, the legacy of destruction left by the Vietnam War, Vietnamese government policies, and further conflicts with neighboring countries caused an international humanitarian crisis, with the Southeast Asian countries increasingly unwilling to accept more boat people on their shores. After negotiations and an international conference in 1979, Vietnam agreed to limit the flow of people leaving the country. The Southeast Asian countries agreed to admit the boat people temporarily, and the rest of the world, especially the developed countries, agreed to assume most of the costs of caring for the boat people and to resettle them in their countries. From refugee camps in Southeast Asia, the great majority of boat people were resettled in developed countries, some in the United States and most of the remainder in Canada, Australia, France, West Germany, and the United Kingdom. One ship of refugees was rescued and resettled in Israel after neighboring Asian countries refused the refugees entry. Several tens of thousands were repatriated to Vietnam, either voluntarily or involuntarily. Programs and facilities to carry out resettlement included the Orderly Departure Program, the Philippine Refugee Processing Center, and the Comprehensive Plan of Action. A family of boat people rescued by a US Navy ship. Rescued Vietnamese boat people being given water. The Vietnam War ended on April 30, 1975 with the fall of Saigon to the North Vietnamese Army and the subsequent evacuation of more than 130,000 Vietnamese closely associated with the United States or the former government of South Vietnam. Most of the evacuees were resettled in the United States in Operation New Life and Operation New Arrivals. Within the same year, the countries of Cambodia and Laos also fell to communist forces, thus engendering a steady flow of refugees fleeing all three countries. After the Saigon evacuation, the numbers of Vietnamese leaving their country remained relatively small until mid-1978. A number of factors contributed to the refugee crisis, including economic hardship and wars between Vietnam, China, and Cambodia. In addition, up to 300,000 people, especially those associated with the former government and army of Republic of Vietnam, were sent to re-education camps, where many endured torture, starvation, and disease while being forced to perform hard labor. In addition, 1 million people, mostly city dwellers, "volunteered" to live in "New Economic Zones" where they were to survive by reclaiming land and clearing jungle to grow crops. Repression was especially severe on the Hoa people, the ethnic Chinese population of Vietnam. Because of increasing tensions between Vietnam and China, which ultimately resulted in China's 1979 invasion of Vietnam, the Hoa were seen by the Vietnamese government as a security threat. Hoa people also controlled much of the retail trade in South Vietnam, and the communist government increasingly levied them with taxes, restrictions on trade, and confiscations of their businesses. In May 1978, the Hoa began to leave Vietnam in large numbers for China, initially by land. By the end of 1979, resulting from the Sino-Vietnamese War, 250,000 Hoa had sought refuge in China and many tens of thousands more were among the boat people scattered all over Southeast Asia and in Hong Kong. The Vietnamese government and its officials profited from the outflow of refugees, especially the often well-to-do Hoa. The price for obtaining exit permits, documentation, and a boat or ship, often derelict, to leave Vietnam was reported to be the equivalent of $3,000 for adults and half that for children. These payments were often made in the form of gold bars. Many poorer Vietnamese left their country secretly without documentation and in flimsy boats, and these were the most vulnerable to pirates and storms while at sea. There were many methods employed by Vietnamese citizens to leave the country. Most were secret and done at night; some involved the bribing of top government officials. Some people bought places in large boats that held up to several hundred passengers. Others boarded fishing boats (fishing being a common occupation in Vietnam) and left that way. One method used involved middle-class refugees from Saigon, armed with forged identity documents, traveling approximately 1,100 kilometres (680 mi) to Danang by road. On arrival, they would take refuge for up to two days in safe houses while waiting for fishing junks and trawlers to take small groups into international waters. Planning for such a trip took many months and even years. Although these attempts often caused a depletion of resources, people usually had several false starts before they managed to escape. Although a few thousand people had fled Vietnam by boat between 1975 and mid-1978, the exodus of the boat people began in September 1978. The vessel Southern Cross unloaded 1,200 Vietnamese on an uninhabited island belonging to Indonesia. The government of Indonesia was furious at the people being dumped on its shores, but was pacified by the assurances of Western countries that they would resettle the refugees. In October, another ship, the Hai Hong, attempted to land 2,500 refugees in Malaysia. The Malaysians declined to allow them to enter their territory and the ship sat offshore until the refugees were processed for resettlement in third countries. Additional ships carrying thousands of refugees soon arrived in Hong Kong and the Philippines and were also denied permission to land. Their passengers were both ethnic Vietnamese and Hoa who had paid substantial fares for the passage. As these larger ships met resistance to landing their human cargo, many thousands of Vietnamese began to depart Vietnam in small boats, attempting to land surreptitiously on the shores of neighbouring countries. The people in these small boats faced enormous dangers at sea and many thousands of them did not survive the voyage. The countries of the region often "pushed back" the boats when they arrived near their coastline and boat people cast about at sea for weeks or months looking for a place where they could land. Despite the dangers and the resistance of the receiving countries, the number of boat people continued to grow, reaching a high of 54,000 arrivals in the month of June 1979 with a total of 350,000 in refugee camps in Southeast Asia and Hong Kong. At this point, the countries of Southeast Asia united in declaring that they had "reached the limit of their endurance and decided that they would not accept any new arrivals". The United Nations convened an international conference in Geneva, Switzerland in July 1979, stating that "a grave crisis exists in Southeast Asia for hundreds of thousands of refugees". Illustrating the prominence of the issue, Vice President Walter Mondale headed the U.S. delegation. The results of the conference were that the Southeast Asian countries agreed to provide temporary asylum to the refugees, Vietnam agreed to promote orderly departures rather than permit boat people to depart, and the Western countries agreed to accelerate resettlement. The Orderly Departure Program enabled Vietnamese, if approved, to depart Vietnam for resettlement in another country without having to become a boat person. As a result of the conference, boat people departures from Vietnam declined to a few thousand per month and resettlements increased from 9,000 per month in early 1979 to 25,000 per month, the majority of the Vietnamese going to the United States, France, Australia, and Canada. The worst of the humanitarian crisis was over, although boat people would continue to leave Vietnam for more than another decade and die at sea or be confined to lengthy stays in refugee camps. Boat people had to face storms, diseases, starvation, and elude pirates. The boats were not intended for navigating open waters, and would typically head for busy international shipping lanes some 240 kilometres (150 mi) to the east. The lucky ones would succeed in being rescued by freighters or reach shore 1–2 weeks after departure. The unlucky ones continued their perilous journey at sea, sometimes lasting a few months long, suffering from hunger, thirst, disease, and pirates before finding safety. A typical story of the hazards faced by the boat people was told in 1982 by a man named Le Phuoc. He left Vietnam with 17 other people in a boat 23 feet (7.0 m) long to attempt the 300-mile (480 km) passage across the Gulf of Thailand to southern Thailand or Malaysia. Their two outboard motors soon failed and they drifted without power and ran out of food and water. Thai pirates boarded their boat three times during their 17-day voyage, raped the four women on board and killed one, stole all the possessions of the refugees, and abducted one man who was never found. When their boat sank, they were rescued by a Thai fishing boat and ended up in a refugee camp on the coast of Thailand. Another of many stories tell of a boat carrying 75 refugees which were sunk by pirates with one person surviving. The survivors of another boat in which most of 21 women aboard were abducted by pirates said that at least 50 merchant vessels passed them by and ignored their pleas for help. An Argentine freighter finally picked them up and took them to Thailand. United Nations High Commissioner for Refugees (UNHCR) began compiling statistics on piracy in 1981. In that year, 452 boats carrying Vietnamese boat people arrived in Thailand carrying 15,479 refugees. 349 of the boats had been attacked by pirates an average of three times each. 228 women had been abducted, and 881 people were dead or missing." An international anti-piracy campaign began in June 1982 and reduced the number of pirate attacks although they continued to be frequent and often deadly until 1990. Estimates of the number of Vietnamese boat people who died at sea can only be guessed. According to the United Nations High Commission for Refugees, between 200,000 and 400,000 boat people died at sea. Other wide-ranging estimates are that 10 to 70 percent of Vietnamese boat people died at sea. In response to the outpouring of boat people, the neighbouring countries with international assistance set up refugee camps along their shores and on isolated small islands. As the number of boat people grew to tens of thousands per month in early 1979, their numbers outstripped the ability of local governments, the UN, and humanitarian organizations to provide food, water, housing, and medical care to them. Two of the largest refugee camps were Bidong Island in Malaysia and Galang Refugee Camp in Indonesia. Bidong Island was designated as the principal refugee camp in Malaysia in August 1978. The Malaysian government towed any arriving boatloads of refugees to the island. Less than one square mile (260 ha) in area, Bidong was prepared to receive 4,500 refugees, but by June 1979 Bidong had a refugee population of more than 40,000 who had arrived in 453 boats. The UNHCR and a large number of relief and aid organizations assisted the refugees. Food and drinking water had to be imported by barge. Water was rationed at one gallon per day per person. The food ration was mostly rice and canned meat and vegetables. The refugees constructed crude shelters from boat timbers, plastic sheeting, flattened tin cans, and palm fronds. Sanitation in the crowded conditions was the greatest problem. The United States and other governments had representatives on the island to interview refugees for resettlement. With the expansion of the numbers to be resettled after the July 1979 Geneva Conference, the population of Bidong slowly declined. The last refugee left in 1991. Galang Refugee Camp was also on an island, but with a much larger area than Bidong. More than 170,000 Indochinese, the great majority Boat People, were temporarily resident at Galang while it served as a refugee camp from 1975 until 1996. After they became well-established, Galang and Bidong and other refugee camps provided education, language and cultural training to boat people who would be resettled abroad. Refugees usually had to live in camps for several months—and sometimes years—before being resettled. In 1980, the Philippine Refugee Processing Center was established on the Bataan Peninsula in the Philippines. The center housed up to 18,000 Indochinese refugees who were approved for resettlement in the United States and elsewhere and provided them English language and other cross-cultural training. Between 1980 and 1986, the outflow of boat people from Vietnam was less than the numbers resettled in third countries. In 1987, the numbers of boat people began to grow again. The destination this time was primarily Hong Kong and Thailand. On June 15, 1988, after more than 18,000 Vietnamese had arrived that year, Hong Kong authorities announced that all new arrivals would be placed in detention centres and confined until they could be resettled. Boat people were held in prison-like conditions and education and other programs were eliminated. Countries in Southeast Asia were equally negative about accepting newly arriving Vietnamese boat people into their countries. Moreover, both asylum and resettlement countries were doubtful that many of the newer boat people were fleeing political repression and thus merited refugee status. Another international refugee conference in Geneva in June 1989 produced the Comprehensive Plan of Action (CPA) which had the aim of reducing the migration of boat people by requiring that all new arrivals be screened to determine if they were genuine refugees. Those who failed to qualify as refugees would be repatriated, voluntarily or involuntarily, to Vietnam, a process that would take more than a decade. The CPA quickly served to reduce boat people migration. In 1989, about 70,000 Indochinese boat people arrived in five Southeast Asian countries and Hong Kong. By 1992, that number declined to only 41 and the era of the Vietnamese Boat People fleeing their homeland definitively ended. However, resettlement of Vietnamese continued under the Orderly Departure Program, especially of former re-education camp inmates, Amerasian children, and to reunify families. The boat people comprised only part of the Vietnamese resettled abroad from 1975 until the end of the twentieth century. A total of more than 1.6 million Vietnamese were resettled between 1975 and 1997. Of that number more than 700,000 were boat people; the remaining 900,000 were resettled under the Orderly Departure Program or in China or Malaysia. (For complete statistics see Indochina refugee crisis). UNHCR statistics for 1975 to 1997 indicate that 839,228 Vietnamese arrived in UNHCR camps in Southeast Asia and Hong Kong. They arrived mostly by boat, although 42,918 of the total arrived by land in Thailand. 749,929 were resettled abroad. 109,322 were repatriated, either voluntarily or involuntarily. The residual caseload of Vietnamese boat people in 1997 was 2,288, of whom 2,069 were in Hong Kong. The three countries resettling most Vietnamese boat people and land arrivals were the United States with 402,382; Australia with 108,808; and Canada with 100,012. The Orderly Departure Program from 1979 until 1994 helped to resettle refugees in the United States and other Western countries. In this program, refugees were asked to go back to Vietnam and wait for assessment. If they were deemed to be eligible to be resettled in the United States (according to criteria that the US government had established), they would be allowed to emigrate. Humanitarian Program for Former Political Detainees, popularly called Humanitarian Operation or HO due to the "H" subgroup designation within the ODP and trailing numbers 01-09 (e.g., H01-H09, H10, etc. ), was set up to benefit former South Vietnamese who were involved in the former regime or worked for the United States. They were to be allowed to immigrate to the U.S. if they had suffered persecution by the communist regime after 1975. Half-American children in Vietnam, descendants of servicemen, were also allowed to immigrate along with their mothers or foster parents. This program sparked a wave of rich Vietnamese parents buying the immigration rights from the real mothers or foster parents. They paid money (in the black market) to transfer the half-American children into their custody, then applied for visas to emigrate to the United States. Most of these half-American children were born of American soldiers and prostitutes. They were subject to discrimination, poverty, neglect, and abuse. On November 15, 2005, the United States and Vietnam signed an agreement allowing additional Vietnamese to immigrate who were not able to do so before the humanitarian program ended in 1994. Effectively, this new agreement was an extension and final chapter of the HO program. Hong Kong adopted the "port of first asylum policy" in July 1979 and received over 100,000 Vietnamese at the peak of migration in the late 1980s. Many refugee camps were set up in its territories. Frequent violent clashes between the boat people and security forces caused public outcry and mounting concerns in the early 1990s since many camps were very close to high-density residential areas. By the late 1980s, Western Europe, the United States, and Australia received fewer Vietnamese refugees. It became much harder for refugees to get visas to settle in those countries. As hundreds of thousands of people were escaping out of Vietnam, Laos, and Cambodia via land or boat, countries of first arrival in South-East Asia were faced with the continuing exodus and the increasing reluctance by third countries to maintain resettlement opportunities for every exile. The countries threatened push-backs of the asylum seekers. In this crisis, the Comprehensive Plan of Action For Indochinese Refugees was adopted in June 1989. The cut-off date for refugees was March 14, 1989. Effective from this day, the Indochinese Boat people would no longer automatically be considered as prima facie refugees, but only asylum seekers and would have to be screened to qualify for refugee status. 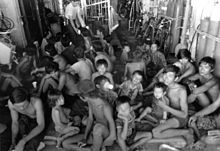 Those who were "screened-out" would be sent back to Vietnam and Laos, under an orderly and monitored repatriation program. The refugees faced prospects of staying years in the camps and ultimate repatriation to Vietnam. They were branded, rightly or wrongly, as economic refugees. By the mid-1990s, the number of refugees fleeing from Vietnam had significantly dwindled. Many refugee camps were shut down. Most of the well educated or those with genuine refugee status had already been accepted by receiving countries. There appeared to be some unwritten rules in Western countries. Officials gave preference to married couples, young families, and women over 18 years old, leaving single men and minors to suffer at the camps for years. Among these unwanted, those who worked and studied hard and involved themselves in constructive refugee community activities were eventually accepted by the West by recommendations from UNHCR workers. Hong Kong was open about its willingness to take the remnants at its camp, but only some refugees took up the offer. Many refugees would have been accepted by Malaysia, Indonesia, and the Philippines, but hardly any wanted to settle in these countries. The market reforms of Vietnam, the imminent turnover of Hong Kong to the People's Republic of China by Britain scheduled for July 1997, and the financial incentives for voluntary return to Vietnam caused many boat people to return to Vietnam during the 1990s. Most remaining asylum seekers were voluntarily or forcibly repatriated to Vietnam, although a small number (about 2,500) were granted the right of abode by the Hong Kong Government in 2002. In 2008, the remaining refugees in the Philippines (around 200) were granted asylum in Canada, Norway, and the United States, marking an end to the history of the boat people from Vietnam. City of Santa Ana, California, USA (February 2006). Footscray (Jensen Park Reserve of Melbourne), Australia (June 2008). Bagneux, Hauts-de-Seine, France (May 11, 2008). Westminster, California (April 2009), by ViVi Vo Hung Kiet. Port Landungsbruecken (Hamburg), Germany (September 2009). Canada: Roundabout "Rond Point Saigon"
Marne-la-Vallée, France: André Malraux intersection avenue and boulevard des Genets of Bussy-Saint-Georges commune (September 12, 2010)., statue by sculptor Vũ Đình Lâm. Bankstown, New South Wales, Australia (November 2011) at Saigon Place. This is the bronze statue, weighing more than three tons by sculptor Terrence Plowright. Brisbane, Queensland, Australia (December 2, 2012) by Phillip Piperides. Perth, Western Australia, Australia (November 1, 2013) in Wade Street Park Reserve. 5.5 meter high monument of sculptor Coral Lowry. Montreal, Quebec, Canada (November 18, 2015) by UniAction. Courage & Inspiration is the commemorative and collective artwork of 14'L x4'H highlighting the 40th anniversary of Vietnamese Boat people refugees in Canada. It has been inaugurated and displayed at the Montreal City Hall, hosted by Frantz Benjamin, City Council President and Thi Be Nguyen, Founder of UniAction, from November 18 to 28, 2015. Mariel boatlift, a similar idea. Bắt đầu từ nay, the frequently broadcast Vietnamese radio PSA on Radio Television Hong Kong (RTHK) in Hong Kong during the late 1980s and early 1990s, announcing the policy of Comprehensive Plan of Action on Vietnamese boat people. Where the Wind Leads, is a memoir by a Vietnamese American doctor Vinh Chung about the history of his family in Vietnam, their arduous journey from Vietnam in 1979 and their life as refugees in the United States. ^ Sagan, Ginetta; Denney, Stephen (October–November 1982). "Re-education in Unliberated Vietnam: Loneliness, Suffering and Death". The Indochina Newsletter. Retrieved 2016-09-01. ^ Butterfield, Fox, "Hanoi Regime Reported Resolved to Oust Nearly All Ethnic Chinese," The New York Times, July 12, 1979. ^ Kamm, Henry, "Vietnam Goes on Trial in Geneva Over its Refugees," The New York Times, July 22, 1979. ^ a b "Cultures - Canadian Museum of History". Retrieved 6 May 2015. ^ Kumin, Judith. "Orderly Departure from Vietnam: Cold War Anomaly or Humanitarian Innovation?" Refugee Survey Quarterly, Vol. 27, No. 1 (2008), p. 104. ^ State of the World's Refugees, 2000. United Nations High Commissioner for Refugees. pp. 83, 84; accessed 8 January 2014; Thompson, pp. 164–165. ^ a b Associated Press, June 23, 1979, San Diego Union, July 20, 1986. See generally Nghia M. Vo, The Vietnamese Boat People (2006), 1954 and 1975-1992, McFarland. ^ Chang, Harold (1977-06-26). "Vietnam escape trail paved with gold" (PDF). South China Morning Post. p. 1. ^ Rummel, Rudolph (1997), Statistics of Vietnamese Democide, in his Statistics of Democide, Table 6.1B, lines 730, 749-751. ^ "Then and Now: Artist Trung Pham from Vietnam". Retrieved September 26, 2017. 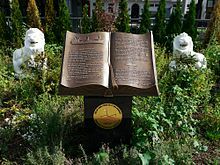 ^ "Bản Tin Liên Hội Nhân Quyền Việt Nam ở Thụy Sĩ". Retrieved 6 May 2015. ^ "Error - 404". Retrieved 6 May 2015. ^ "Thời Sự". Retrieved 6 May 2015. ^ "Khánh thành Bia tị nạn tưởng niệm thuyền nhân ở nước Đức". Retrieved 19 November 2016. ^ "BBCVietnamese.com". Retrieved 6 May 2015. ^ "Archive of Vietnamese Boat People". Retrieved 6 May 2015. ^ "Thuyền nhân khúc ruột ngàn dặm". Retrieved 19 November 2016. ^ Việt Báo Online. "Trang nhất". Việt Báo Online. Retrieved 6 May 2015. ^ "Tượng đài Bussy". Retrieved 19 November 2016. ^ "Vietluanonline.com". Retrieved 6 May 2015. ^ "Khắc tên thuyền nhân trên đài tưởng niệm tại Indonesia - Cộng Đồng - Người Việt Online". Retrieved 6 May 2015. ^ "Queensland khánh thành tượng đài thuyền nhân - Cộng Đồng - Người Việt Online". Retrieved 6 May 2015. ^ "Boat people say 'thanks, Australia'". Perth Voice Interactive. Retrieved 6 May 2015. ^ International, Radio Canada. "Commemorating the arrival of Vietnamese refugees". Retrieved 19 November 2016. Steve Roberts From Every End of This Earth: 13 Families and the New Lives They Made in America (novel, a.o. on Vietnamese family), 2009. Georges Claude Guilbert Après Hanoï: Les mémoires brouillés d'une princesse vietnamienne (novel, on Vietnamese woman and her boat people family), 2011. Thompson, Larry Clinton, Refugee Workers in the Indochina Exodus, Jefferson, NC: MacFarland Publishing Company, 2010. 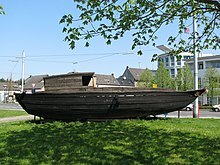 Wikimedia Commons has media related to Vietnamese boat people.